The last time I went to visit my sister, she told me that her boss and his wife were selling their home there and that I would love it! Of course I have no plans to move to her city, but I figured a little look at this home wouldn't hurt, especially if it was "right up my alley" like she said. Well friends, I have to say she was right on the money! 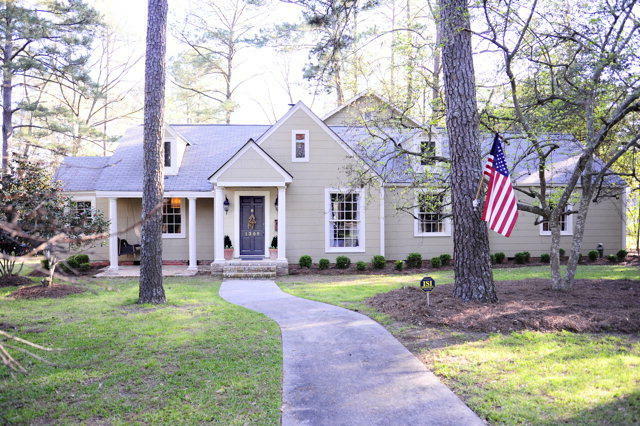 I found the home on Trulia and was immediately smitten. If only this gem could be transported to Pensacola... A girl can dream. 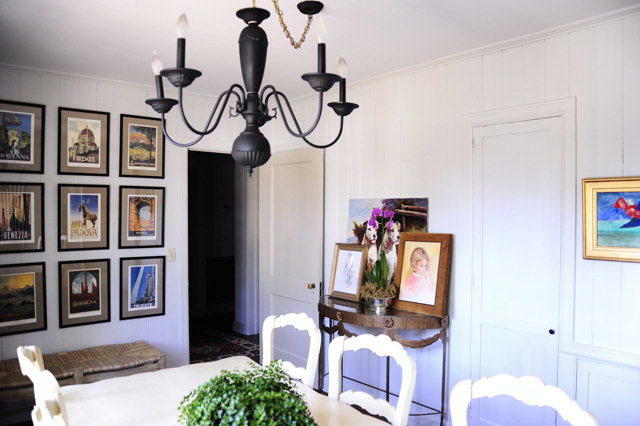 Let's take a look inside this beautiful 1940's home. It's 3,400 sq. ft. and full of amazing antiques and details. Meredith, my sister, said the wife was responsible for all of the decorating, and I think she did a wonderful job. 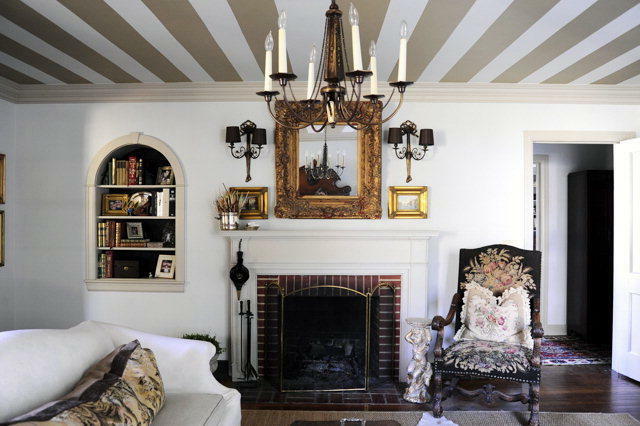 The striped ceiling, chandelier, built-in arched bookcase and furnishings in the living room as just gorgeous. 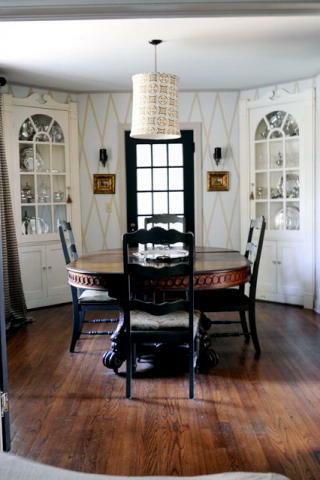 The first dining room has more paint details with stenciled walls. 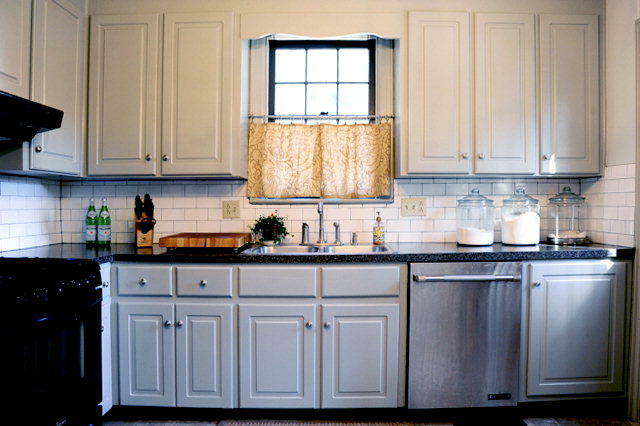 The kitchen features gray painted cabinets, a white subway tile backsplash and rolling island. 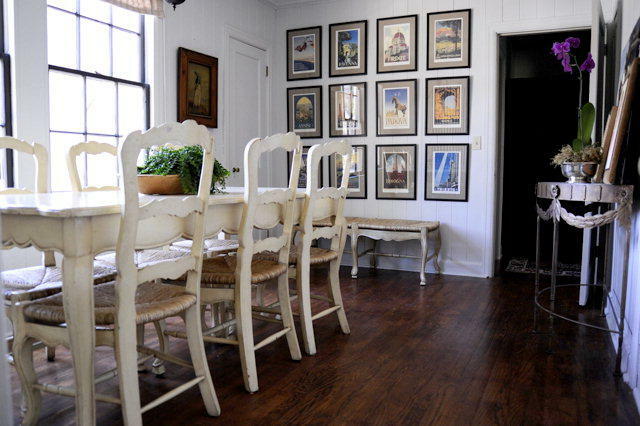 The second dining room continues with the neutral walls but adds in pops of color with numerous pieces of artwork. 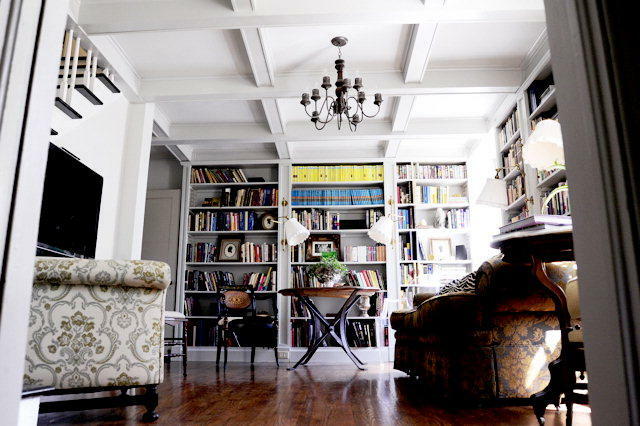 Is this coffered ceiling in the library drool-worthy or what? 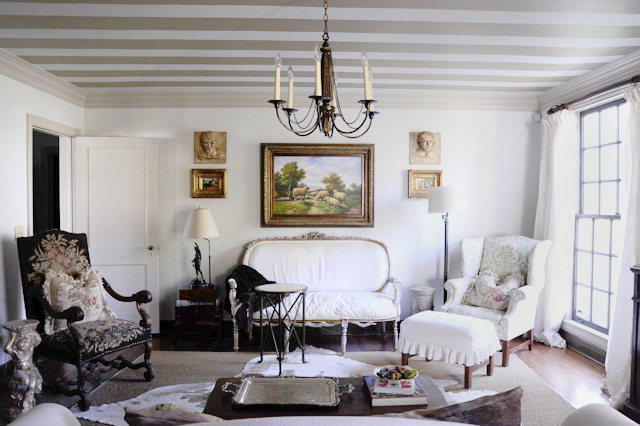 The built-in bookcases and sconces are pretty amazing too. 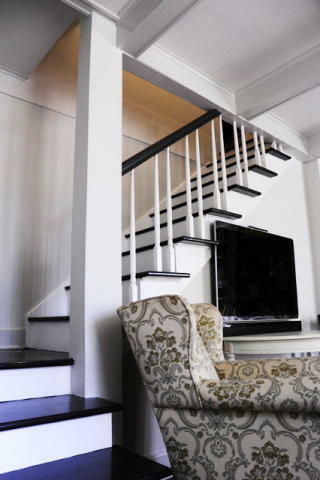 My favorite staircases are ones with dark treads and white steps. So classic. 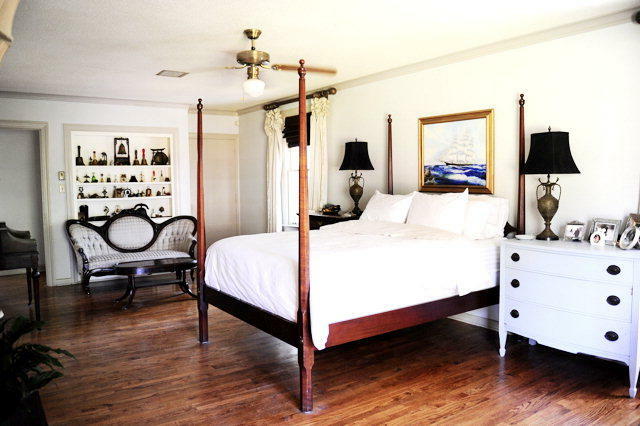 Now let's take a look at 2 of the 5 bedrooms upstairs...This is one of the guest bedrooms. I would take that headboard, bedding and pleated bedskirt any day. And don't even get me started on the chandelier. Stunning! 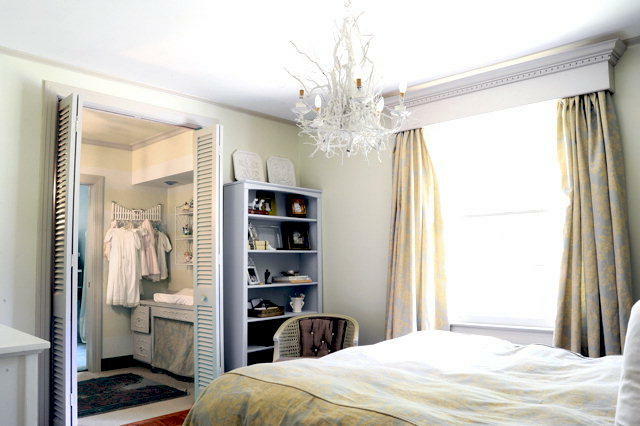 And our last stop on the tour is the master bedroom. And once again, they didn't disappoint. What a beautiful and inspiring home!